Patriot has this week added a new addition to their range of mobile storage devices, in the form of the newly launched Patriot Aero wireless storage which can also be used as a portable media hub. The new Patriot Aero wireless storage hard drive has been designed to allow 5 users with smartphones or tablets to simultaneously stream high definition content from the device. 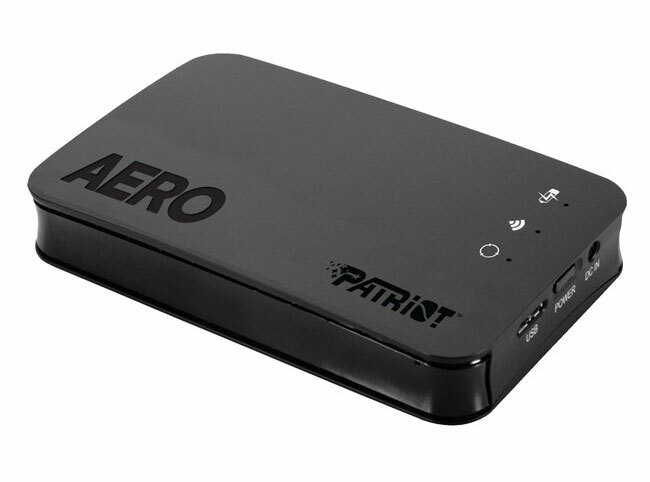 The new Patriot Aero wireless storage device is available in either a 500GB for $159 or 1TB for $199, and are both equipped with a rechargeable battery capable of providing up to 6 hours of constant use on a single charge.